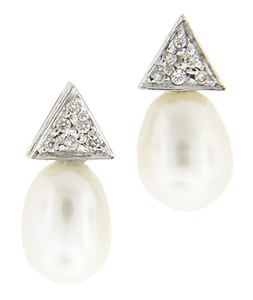 Lustrous pearls are combined triangles of 14K white gold on these antique style earrings. Each triangle portion is set with six round, sparkling diamonds. 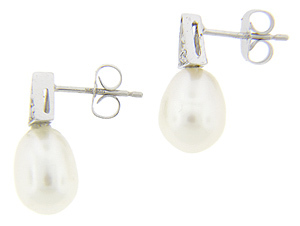 Set on posts, the earrings measure 5/8” in height by 5/16” in width.